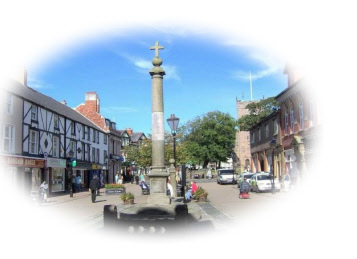 founded in 1981 by Rev David Wiseman, minister of Poulton U R C.
The site is intended to give visitors a flavour of the town and its past, present and future. We welcome contributions from all those with an interest in the history of Poulton-le-Fylde and its surrounding communities. Poulton Historical Society had been interested in the conservation of the Edward VIII letter box on Lower Green for some time and kept an eye on it. About 4 years ago we contacted the Letter Box Society and they have been extremely helpful. At the time, following their advice, we contacted Royal Mail and were assured by RM that it was safe. However we were obviously concerned at its sudden removal in 2018. We were aware that it stood on private land and apparently it was the wish of the land owner that it should be removed. We are delighted to see this important and rare item has remained in Poulton.